Home politics ALABAMA SENATE 2017: WHEN WILL WE KNOW WHO WINS BETWEEN ROY MOORE AND DOUG JONES? ALABAMA SENATE 2017: WHEN WILL WE KNOW WHO WINS BETWEEN ROY MOORE AND DOUG JONES? 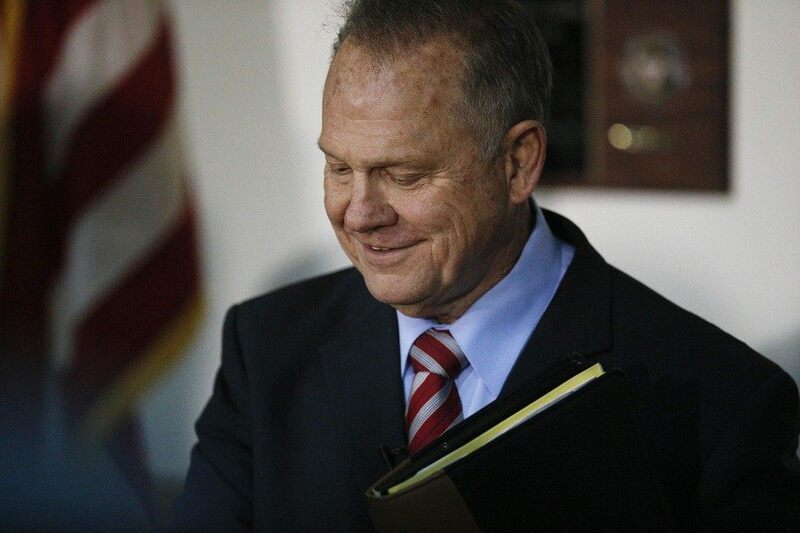 Alabamians and the rest of the country should know today whether Roy Moore or Doug Jones will be the state's next U.S. Senator. The exact time the final decision will be announced remains to be seen. Polls close tonight at 7 p.m.
During September's runoff between Moore and Republican challenger Luther Strange, the race was called around 9 p.m. CT. Turnout for the Republican runoff was about 14 percent statewide, down 4 points from the August Senate primary. The August Senate primary was called around 9:30 p.m.
Alabama Secretary of State John Merrill said early projections for today's race puts turnout at around 25 percent, translating to more votes to count and the possibility it will take longer to do so. Merrill said heavy turnout does not necessarily benefit one candidate over the other, however. "I'm hearing that the turnout in certain areas that might benefit Doug Jones are complemented by heavy turnout in other areas, in some rural parts of the state that would probably complement Judge Moore. So, I think that's going to balance itself out if that trend continues," Merrill said. Write-in votes are also expected to increase in this election. That shouldn't slow tonight's results down, however.